9208 - This handsome Groom is in the mood for romance...music that is. 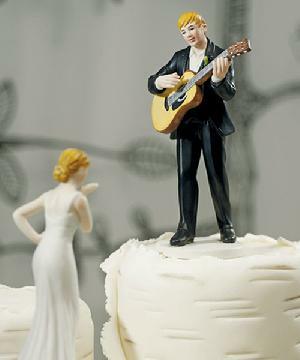 Guitar in hand, he will serenade any of our Mix and Match Brides to personalize the look. Hand painted porcelain.